It lets Democrats off the hook for their own failures—and betting the resistance on finding a smoking gun is a fool’s game. 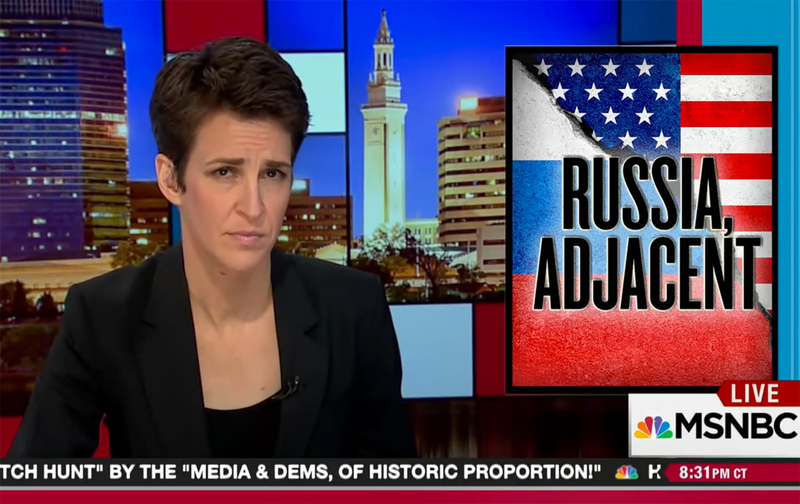 Meanwhile, MSNBC has turned itself into the equivalent of the Christic Institute, which in the 1980s lost a lawsuit surrounding an Iran/Contra bombing by chasing “unsubstantiated conspiracism.” Iran/Contra was a real conspiracy, much of which by nature was “unsubstantiated.” But as Alex Cockburn liked to remind, conspiracies are natural terrain for the right but a rough one for the left. At best, they exert a powerful pull toward depoliticization and cynicism. At worst, they lead to Alex Jones Infowars–style anti-government lunacy. Many say that serious crimes have been committed and that the investigation should continue. I don’t disagree. To understand how this could all go wrong for the Democrats, we should take instruction from Iran/Contra. Baying for a new Cold War as a way of isolating Trump is dangerous, given the volatility of our governing elites.